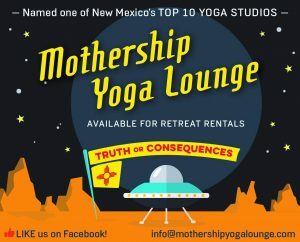 Truth or Consequences is a quirky, off-the-beaten-path town located in Southern New Mexico. For hundreds of years people have been coming to soak in the magical healing waters, and slow down to the speed of the Turtle, which is the name of the mountain that sits above this high desert community. It is believed that the famous Apache warrior, Geronimo, soaked in these springs, which continue to attract healers and those needing a respite from regular life. The beautiful Rio Grande runs right along the edge of town. 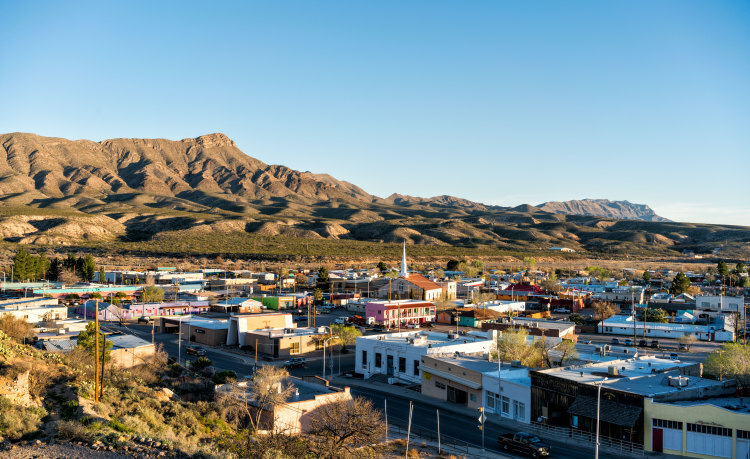 Once known as “Hot Springs,” New Mexico, Truth or Consequences got its name from the 1950’s game show hosted by Ralph Edwards. The show held a contest awarding any town in America that changed its name to Truth or Consequences an annual parade with Hollywood stars called “Fiesta” which still takes place every May. “T or C,” as the locals call it, is two hours from both Albuquerque (to the North) and El Paso (to the south) – directly off of I-25. Both airports are easy to fly into. Once you get to town, you will not have to get in your car at all. There is easy walking to the yoga studio, downtown shops, a grocery store, brewery, art galleries, restaurants, and more.